“1/24/18 3:22pm Great customer service from dispatcher !!! They were really helpful My tire had popped on the highway on 95 south bound after hanging up , 5 min later the tow truck driver called me and was very polite , respectful and FAST he helped me find a local tire shop in the area It took him 5 min to get to me after hanging up I have never had service like this from a towing company I just wanna thank them for all there help and helping my nightmare be actually being a sweet dream I also made it to work on time too!! I wish this company the best !!!!! 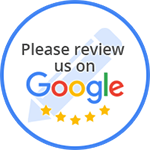 “Great service i use them for all my towing needs. prices our fair to the market. “We had a truck broken down on the side of I95, I called around a bunch of places on a Sunday! Finally I reached these guys, Brian was the driver that showed up! It only took him about 20 minutes to arrive! He was awesome to say the least! Thanks Brian and the staff and owners that made it possible to save the day! I appreciate you professional company! Hard to come by in the towing business!